Nifty opened flat to positive, and after a slow start saw the index surge towards the highs of the day around 6290, but the sellers seems to be waiting for this opportunity to sell high and moved the index towards the lows of the day at 6180. The index closed just above the lows at 6187.25, a huge loss of 27.90 points. The broader market was also negative, with 504 advances to 867 declines. OI table resistance is now placed at 6300 level. Call option 6000-6600 added 18.45 lacs huge amount of OI with profit booking seen at 6700 and above strike prices. 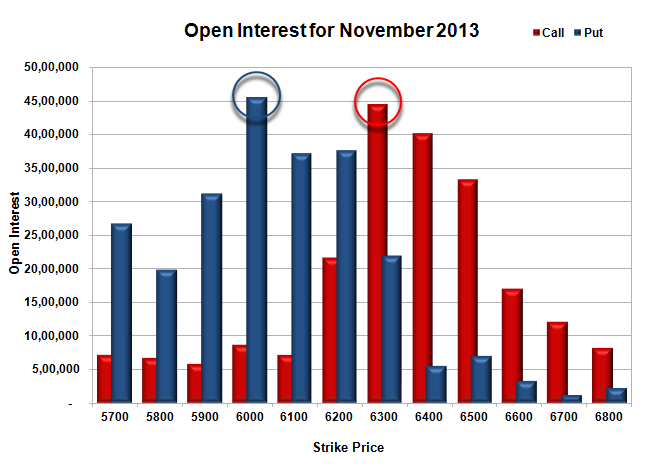 Put option 6100-6000 added 2.19 lacs huge amount of OI with short covering seen at 6200 and above strike prices. Nifty Open Interest is at 2,08,38,200 down by 7,49,850, with decrease in price, most probably huge long liquidation. 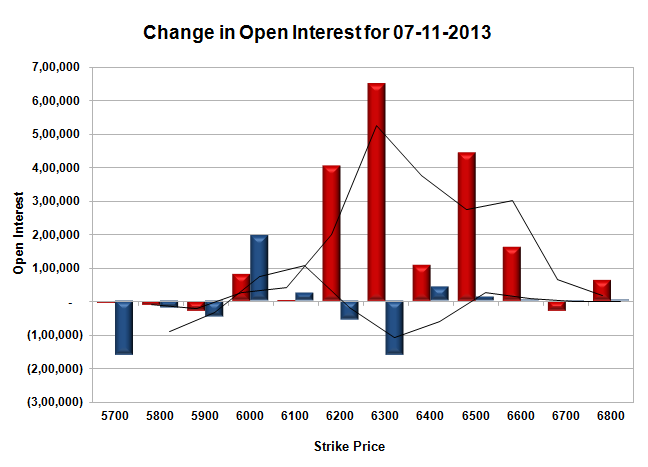 Bank Nifty Open Interest is at 17,87,350 up by 13,850, with decrease in price, most probably small short build-up. FII’s bought small 0.14 lacs Futures, mostly short covering, as their net OI decreased by 14213 contracts (includes 73029 longs and 72744 shorts for the day) and the average price per contract comes to around 6145.76. FII’s future open contract as on date is 493921. PCR Open Interest (Volume) is down for the day at 1.239. 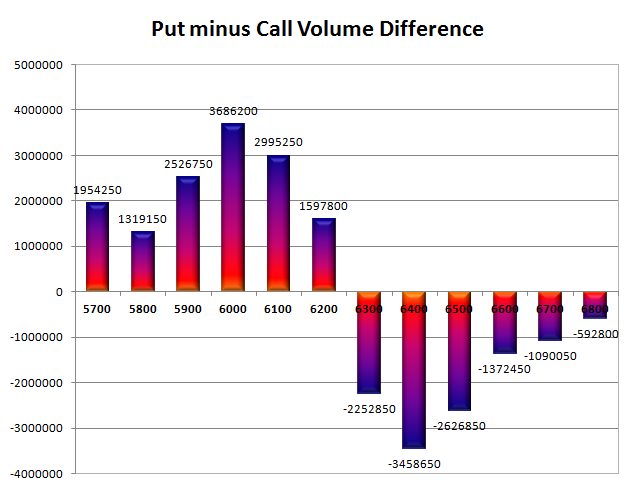 Support still very much at 6200, with huge OI of 37.61 lacs, below that at 6100, with OI of 37.25 lacs. Best Resistance now at 6300, with OI above 44.55 lacs and above that at 6400, with OI of 40.21 lacs. Day Range as per Option Table is 6155 - 6267 and as per VIX is 6123 - 6252 with 6219 as the Pivot.